Chinese people are well known for their ability to play ping-pong. I started to find out the reason after few visits in different parks in Beijing. This sport is clearly the first sport in China. People from 5 to 79 years play ping-pong day and night. 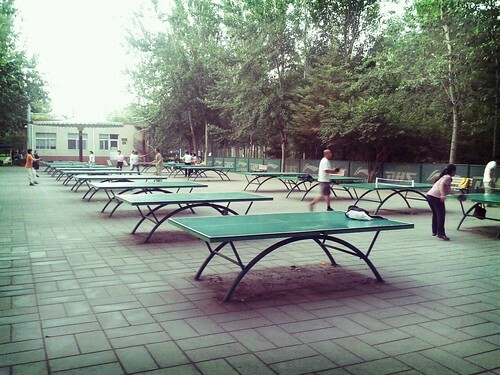 All parks are equipped with several tables, free-of-use for the visitors.